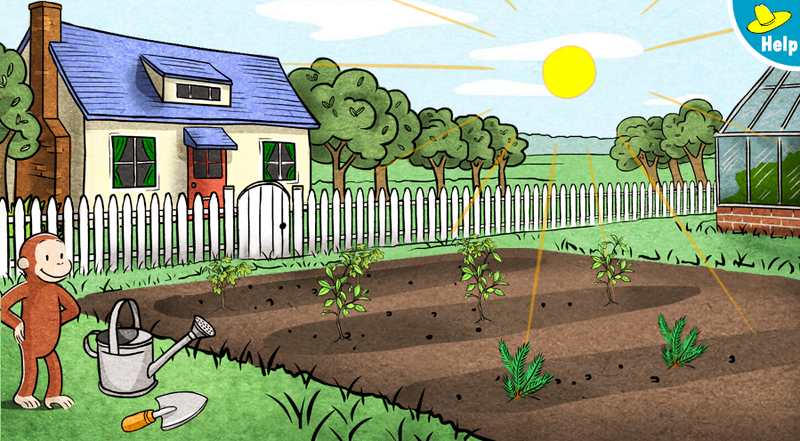 In this game, I designed and illustrated for the Curious George website, children are walked through an array of gardening exercises. 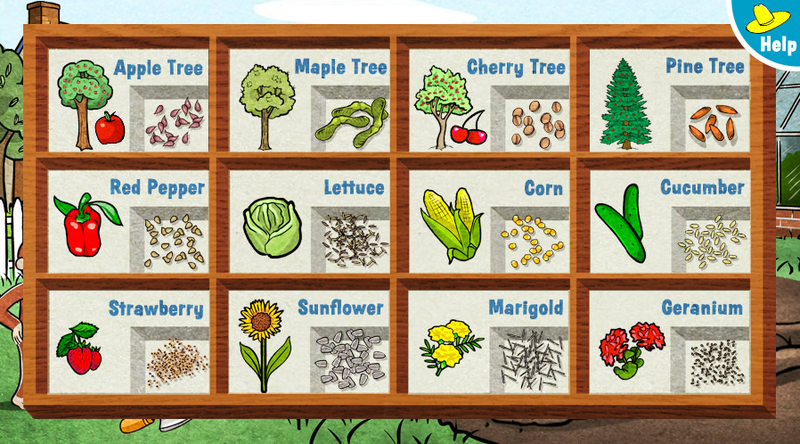 Instructional prompts in the game vary as kids are prompted to pick seeds for all yellow plants, only vegetables, all flowering plants or only trees. Kids choose seeds, water the soil and watch as their plants grow from seedlings to full size. It's a visually rich game that thrives on children's love for creating and educates along the way. .